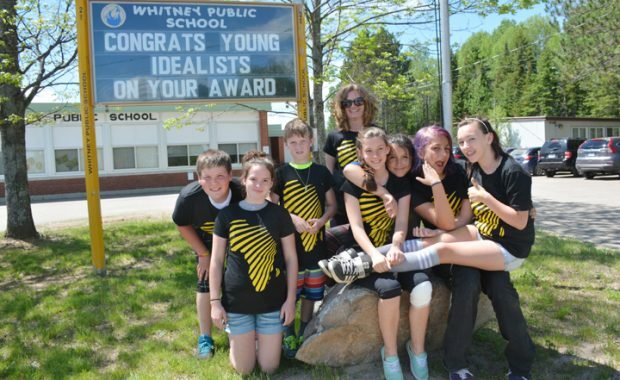 WHITNEY – The students at Whitney Public School have won $4,000, which they are directing to healthcare initiatives in Kenya, Africa. It all started when the small school travelled to the annual We Day event in Kanata last year. We Day is a global movement by Free the Children that inspires kids to change the world both locally and globally. The event in Kanata showcases motivational speakers, inspirational leaders and performances from top artists. The only way to get a ticket to the show is by earning it by holding fundraising initiatives throughout the school year. 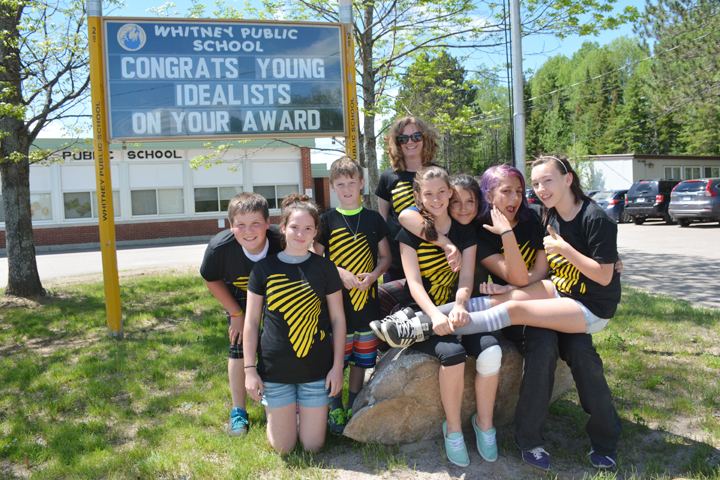 Whitney Public School students decided to hold a We Are Silent campaign, where students pledged to be silent for a set number of hours (up to 24 hours) in exchange for donations. Approximately $250 was raised and went towards workshops for Kenyan mothers to learn about maternal health. “The idea that is if you take care of women and give them a livelihood, they are going to share that with their families and communities,” Grade 6/7/8 teacher Marion Lott said. Then, on Valentine’s Day, the school held an anti-bullying campaign called We Are Love. The kids shared compliments with each other to combat bullying in the school. Afterwards, the school hosted a Free the Children guest speaker, who worked with the school to find out what they are passionate about. The students decided to focus on combating child slavery overseas. “We switched our focus to alternative income and livelihood,” Lott explained. They settled on Haiti, where child slavery is a large problem and poverty is widespread. While the issues seem almost too big to tackle, the students discovered that they could combat child slavery by buying goats for Haitian families. Get your June 1, 2016 edition of The Valley Gazette to read the full story.